We depart Bali from Denpasar Domestic Airport early morning and arrive into Labuanbajo on the island of Flores, after a 90 minute flight. 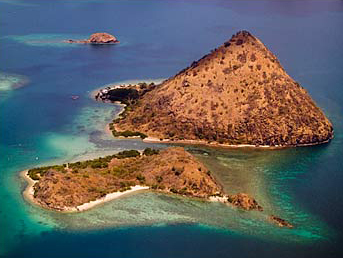 Enroute we fly over the islands of Lombok, Sumbawa, Sangeang and finally the Komodo National Park. With great opportunities for photos, including views into the craters of volcanoes on Lombok and Sumbawa. So keep your camera handy!! Labuanbajo is the capital of the western province of the island of Flores. 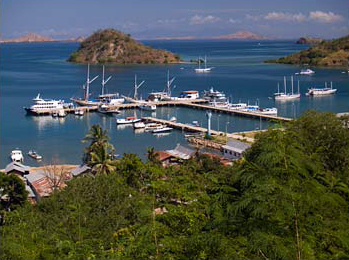 Its harbour is the departure point for our Komodo Live-Aboard Photography Trips. On arrival in Labuanbajo, we are picked-up from the airport and transferred a few kilometres to our live-aboard vessel. We stow gear and then get underway while preparing camera & dive equipment on the way to the first dive site. Our first dive will be a chance to get equipment set-up properly at a sheltered location, and as an introduction to the area. We then select a second dive before settling on a spot for our overnight anchorage and a night dive. Our first night is spent anchored among the islands of the Komodo National Park. Please let us know if there are any particular areas of underwater photography that you may be having difficulty with, or would like to improve on. We will also review photos from our first dives. The overnight anchorage location is determined by prevailing weather conditions on the day, but we always seek-out sheltered anchorages in quiet bays. We move further into the Komodo National Park, where we will conduct dives around the northern and central areas of the National Park waters. 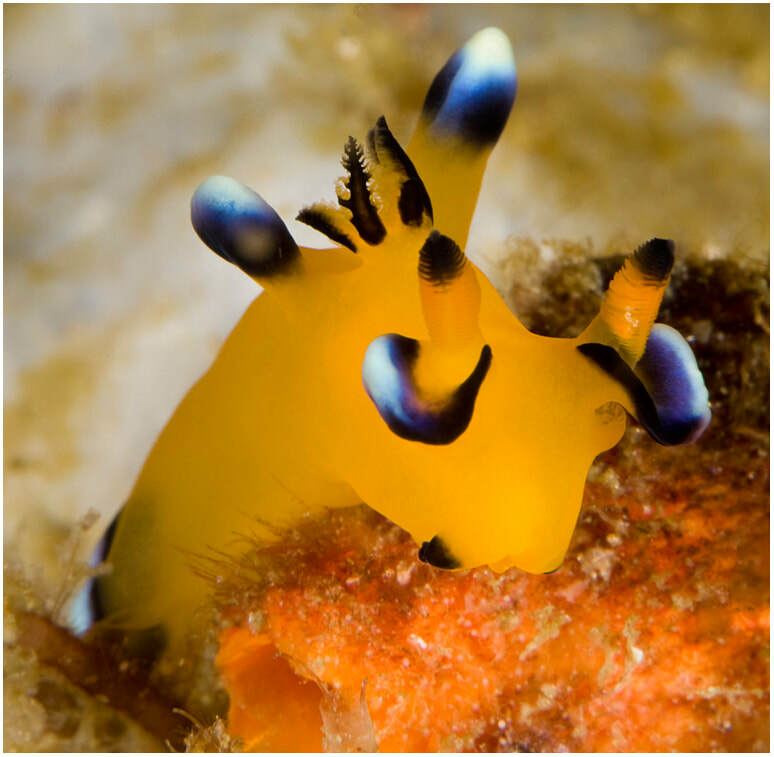 The locations will be determined by sea conditions (currents, waves and underwater visibility) and the type of dives you would like to experience, as well as specific locations to see marine life that you are keen to photograph. While continuing our dives around the islands, each day tackling any issues you may have with your own underwater camera rig or with any aspect of your underwater photography. Evenings will be spent reviewing images and offering help with editing of your photos. If sea conditions are suitable, we move into the southern sections of Komodo National Park. In particular to Horseshoe Bay in the southern part of Rinca Island. This bay has been described as "perhaps the richest dive site on Earth" by well travelled divers. The above water terrain is similar to a Norwegian fjord, with high cliffs, sheltering this long narrow inlet. 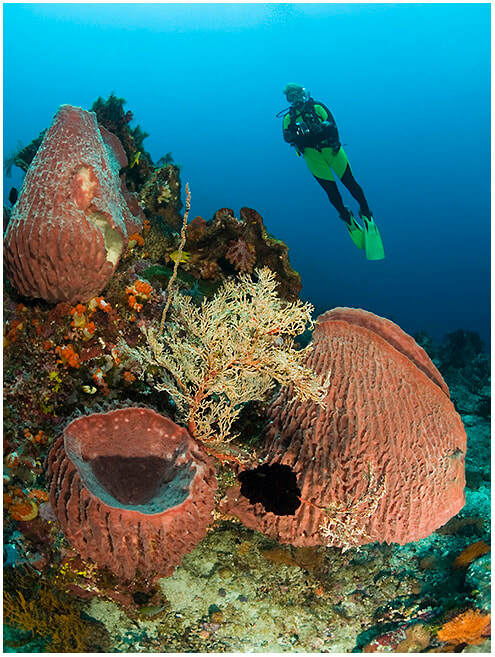 While below the sea are mini sea-mounts, dramatic walls, boulder strewn slopes as well as muck dive sites. The waters are cooler here, but the nutrient rich upwellings from the Indian Ocean encourage the growth of corals and invertebrates in incredible proportions. Fish-life is nothing short of unbelievable. 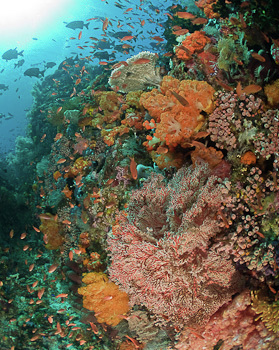 Dive Sites like Cannibal Rock, Yellow Wall and Torpedo Alley, will leave you with lasting impressions. 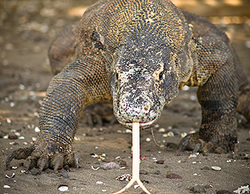 Often there is wildlife on the beaches inside this bay; Komodo Dragons, Monkeys, Deer and Wild Pigs are common sights, while soaring overhead are Sea Eagles. ​We overnight in a sheltered bay on Rinca Island, close to the National Park landing area at Loh Buoya on Rinca Island where we will be able to night dive on a very rich muck diving site. After an early breakfast, we land at the Ranger Station on Rinca Island and spend an hour or so walking through the light scrub, dry creek beds and hills of Rinca in search of Komodo Dragons and other wildlife like deer, monkeys, buffalo and birds. 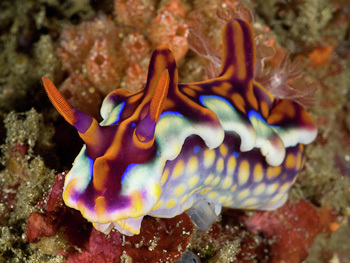 Giving good opportunities to photograph these rare creatures. We then travel north to Labuanbajo cruising among islands with spectacular views of the coast of Flores... more photo opportunities! At the port we unload our luggage and disembark. Then transfer to the Airport for our afternoon flight back to Denpasar domestic airport on Bali.